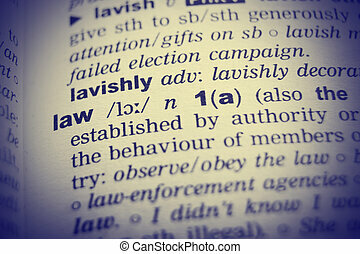 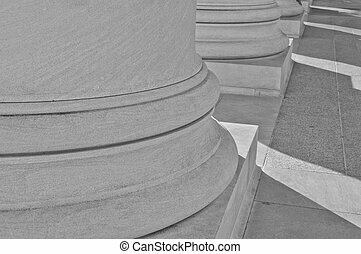 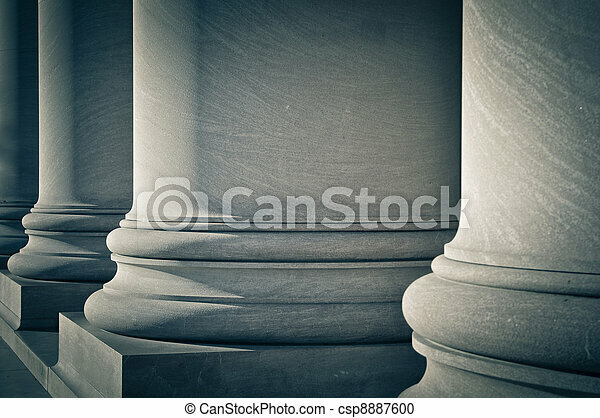 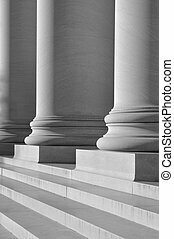 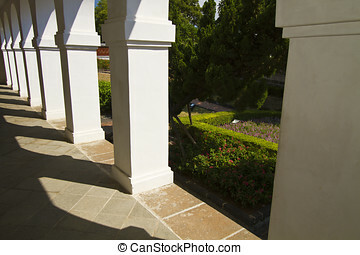 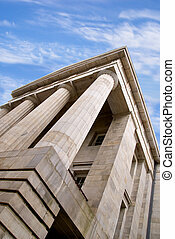 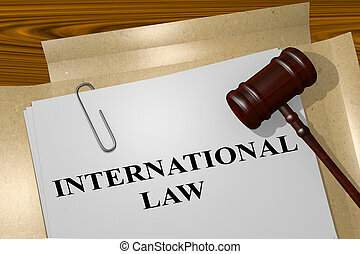 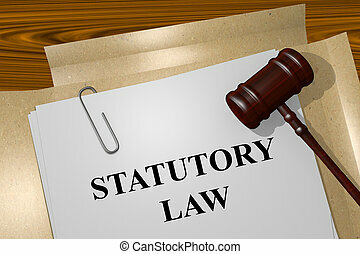 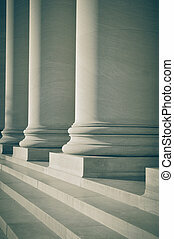 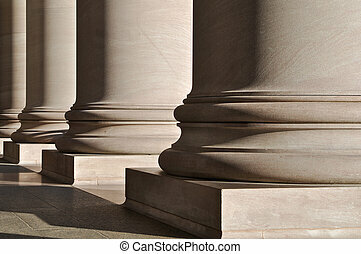 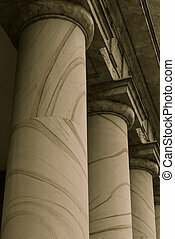 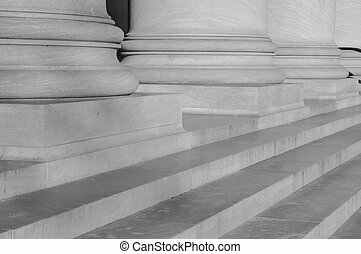 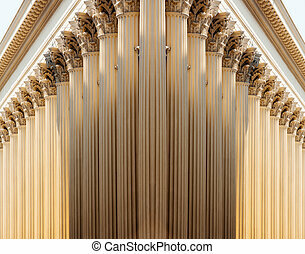 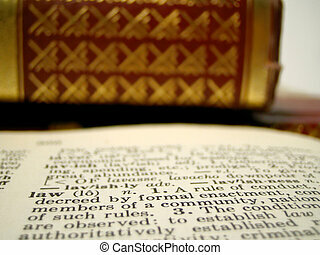 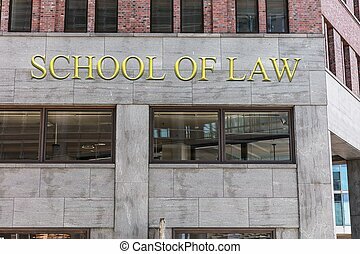 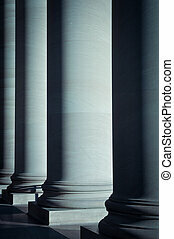 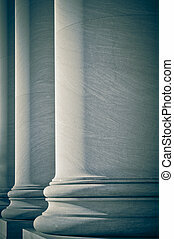 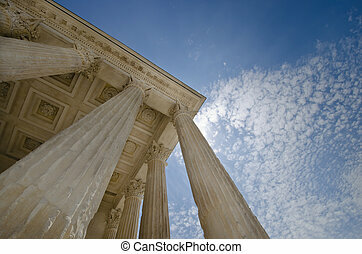 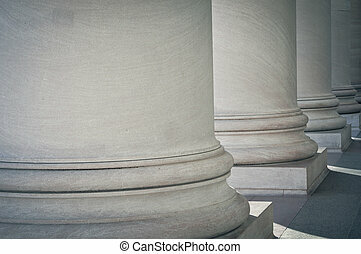 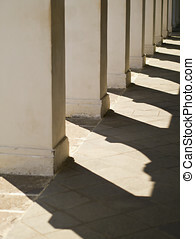 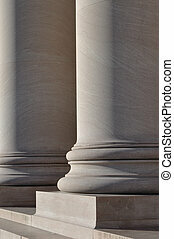 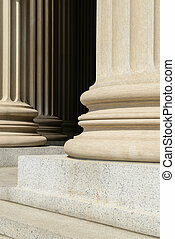 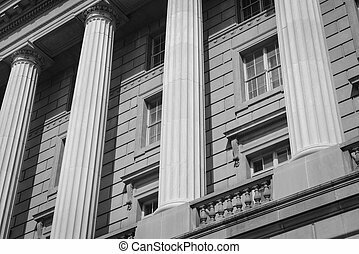 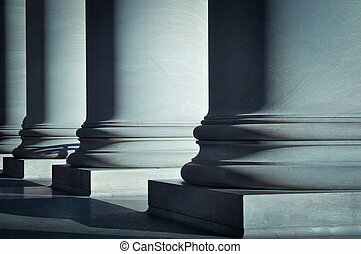 Pillars of law, education and government. 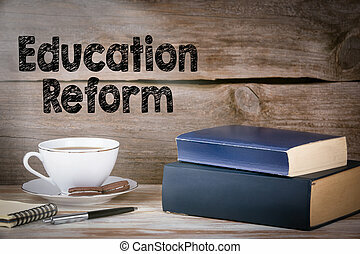 Education Reform. 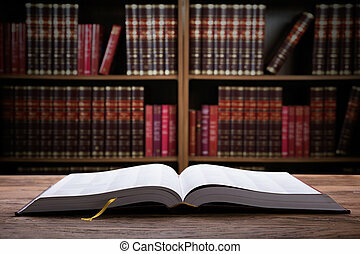 Stack of books on wooden desk. 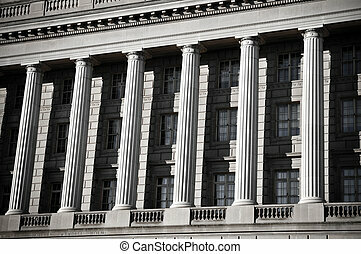 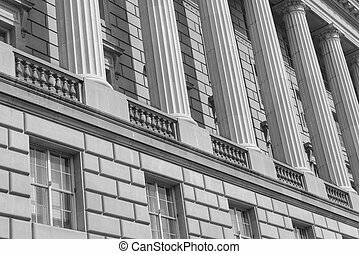 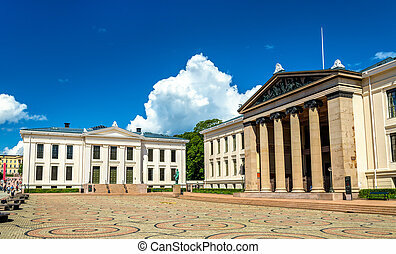 A generic architecture style used for government buildings.